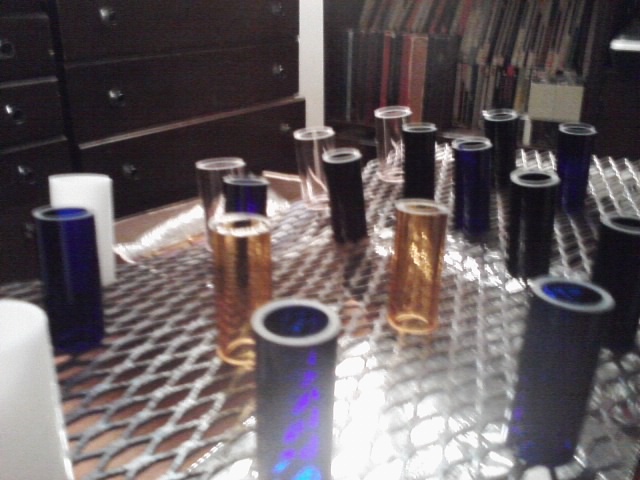 We are a small company in Portland, Oregon, making and selling glass guitar slides. 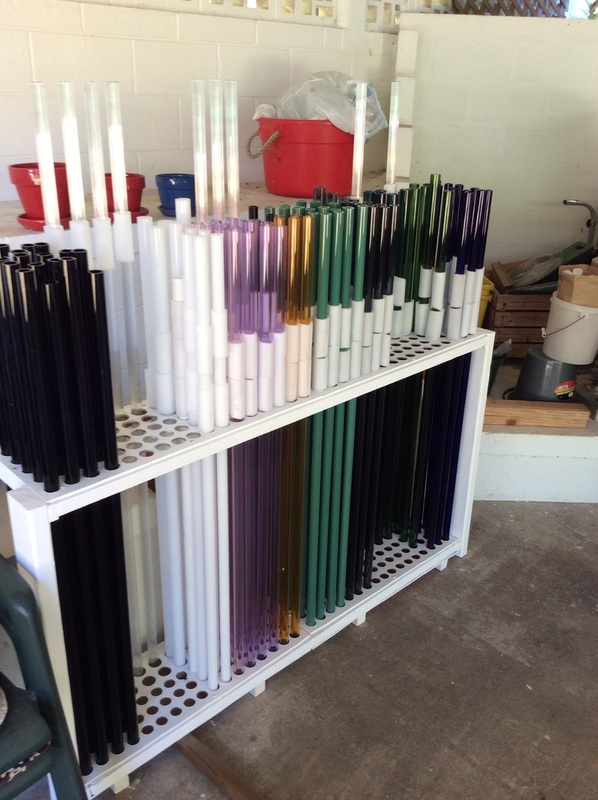 All of our glass is borosilicate (a.k.a. ‘boro’), the same rock-hard glass that made the original Pyrex-brand glass products famous. Over the years, glass-making technology has evolved. "Boro" glass is now made in beautiful colors all over the world. The Rocky Butte Guitar Slide Company makes its products using glass from many sources, producing our slides stateside, in a sustainable manner. We recycle our waste, reuse our coolant and pay a living wage. Our products are sold to music stores and musicians at fair retail and reseller prices. Artisan methods require us to take extra time in making your slide just the way you want it, durable and well-fitted for you and your instrument. The results are certainly worth the effort. Why do we offer "custom-made" artisan slides? We believe high quality slides that match both the musician's finger size and the guitar's neck, allow the player to focus on his or her music, not on controlling the "flop" of a poor-fitting slide. The color? Well, you know about bling, right? And all at a fair price! BTW, don’t expect a box full of popcorn when your slide arrives. We ship them packed inside a handy drawstring bag to protect them in their shipping box; a "bag in a box". It's now available in burlap or black velveteen- just let us know your preference with a comment on your order page. We’re not big enough yet to inventory all the glass we'd need to make slides in any size and every color, so we offer only those colors and sizes currently in stock. If the glass isn't available for a certain size or color, we won't try to sell it as a back-order. On the other hand, if a size or color or style you want isn’t available and you’d like to know when it is, send us a note and we'll let you know when it is. "Custom: is the new standard", means you, our custom-ers, have our full attention. Most of our product photos are courtesy of Mark Welsh Photography. We think you will agree Mark’s photo portrayals of our products are stunning, and well deserving of appreciation. Thank you, Mark Welsh! The Portland State University Business Outreach Program has been instrumental in providing detailed information and support of our startup. Our gratitude for their help is deep, and we particularly wish to thank Emily Galash for her website mentoring, and Liz Feldman for her guidance through the process of creating a new company. In 2012, two years following an early retirement, I needed something to do. I thought, “…maybe I could make some guitar slides again, and we could sell them in the Summer at music faires...” We talked the idea over and when I looked for glass, I found boro glass (think Pyrex) was available, IN COLOR! 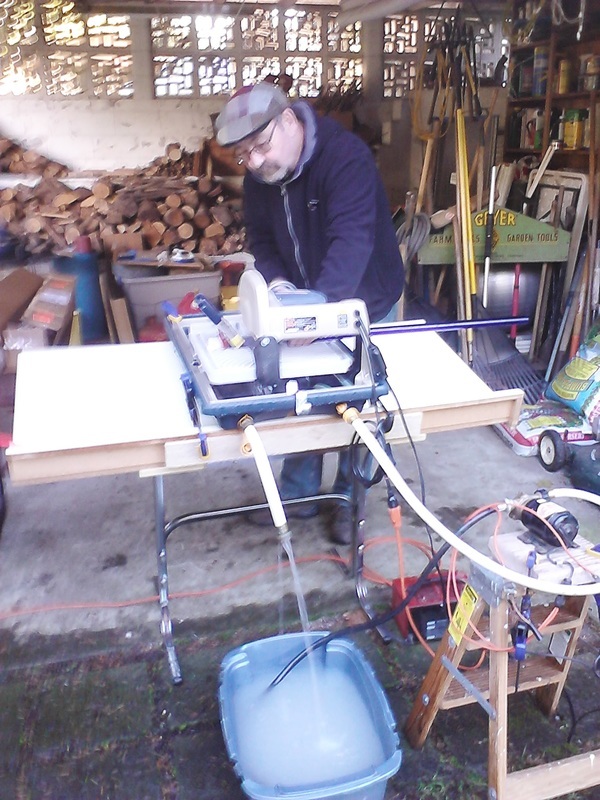 The clouds parted, the sun shone forth and my wife bought me a tile saw for my birthday! I set it up in the patio, added a lead screw and a 12v. 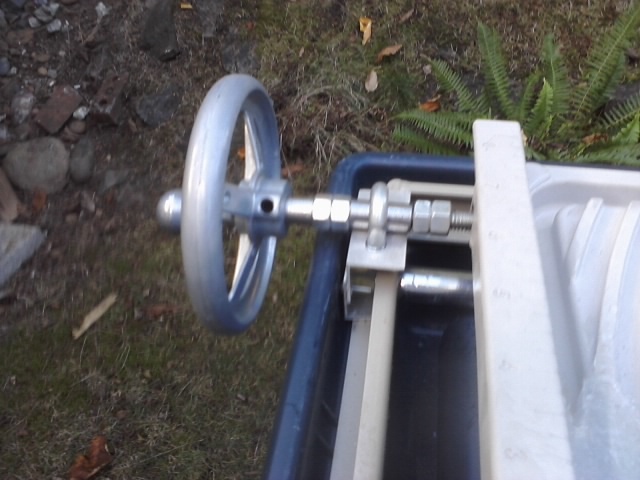 bilge pump using a battery charger. I began cutting glass again. Many hours of test and improvement, several saw blades and about year later, I liked the cuts I was making. We bought a used torch set and once again, I was fire polishing glass! It was a very slow restart, but Wow!